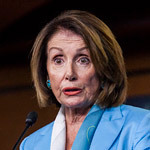 House Speaker Nancy Pelosi (D-CA) has jumped to former Vice President Joe Biden's defense following the mounting allegations of inappropriate behavior towards women. 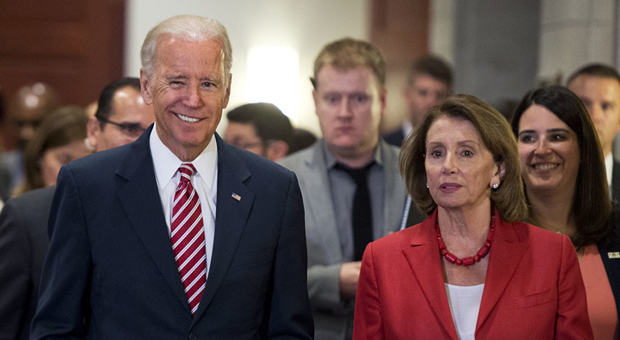 The Democratic House Speaker told reporters Biden should not be disqualified from 2020 presidential run because of two accusations of inappropriate behavior toward women. But Pelosi refused to comment on whether the #MeToo claims could prevent Biden's possible White House run. 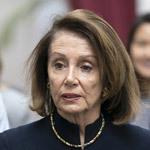 The news comes following recent reports of a former congressional aide to Rep. Jim Himes (D-CT) accusing the former vice president of rubbing his nose against her during a Connecticut fundraiser ten years ago. “It wasn’t sexual, but he did grab me by the head,” Biden’s second accuser, Amy Lappos, told The Courant. “He put his hand around my neck and pulled me in to rub noses with me. When he was pulling me in, I thought he was going to kiss me on the mouth,” she said. 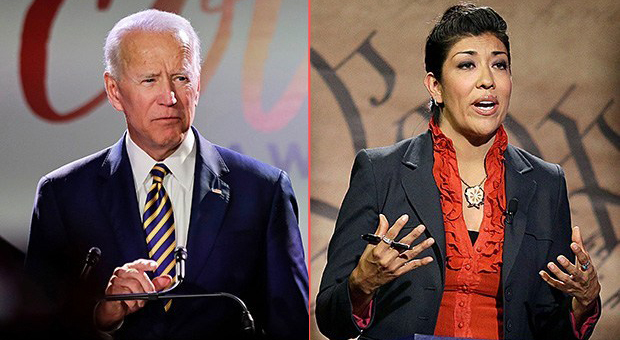 Biden responded on Sunday to his first accuser, Nevada politician Lucy Flores, who claimed he kissed her without consent in 2014, saying e 'doesn't recall' and never thought he acted inappropriately. "I felt two hands on my shoulder," she wrote of the incident. "I felt him get closer to me from behind. He leaned further in and inhaled my hair," she added. 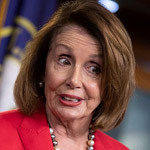 But Flores appeared on CNN’s The Lead, insisting Biden's treatment of woman was “disqualifying” for a presidential candidate, going against Nancy Pelosi's remarks. 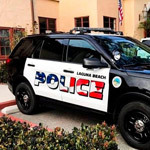 Biden has been inundated with mounting video clips which seemingly shows him acting inappropriately toward woman and children. “My point was never about his intentions, and they shouldn’t be about his intentions. It should be about the women on the receiving end of that behavior. This isn’t the first time, and it wasn’t the only incident where he was acting inappropriately with women." 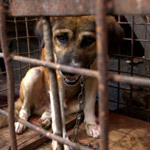 “As the sole owner of my story,” Carter wrote. 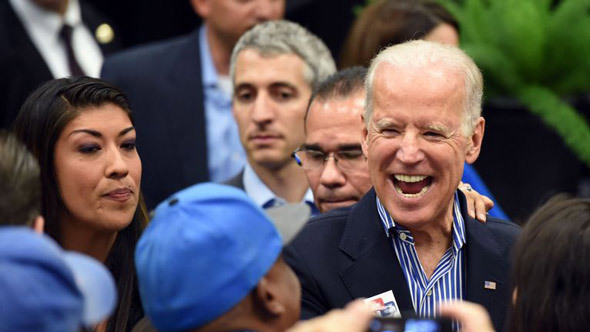 But aside from Carter, Biden has been inundated with mounting video clips which seemingly shows him acting inappropriately toward woman and children. His nickname "Creepy Uncle Joe," has been well known among thousands of internet MEMEs taken from screenshots of the footage. 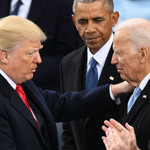 But it remains to be seen if Biden's possible 2020 is already dead in the water, it would be foolish to assume anyone one from Biden's team did not anticipate there would be accusations against him. What's really happening here is that the 76-year-old Biden is now trying mightily to reconcile the old Democrat Party of Bill Clinton and Ted Kennedy with the ever-shifting liberal PC codes of the present. 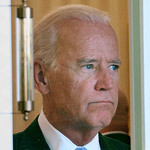 Biden, though, has made a critical mistake. What has he done? He's been apologizing in an effort to court the far-left. And now, on the campaign trail, the candidates who would benefit the most from a Joe-less field -- they don't care about the apologies. They're pouncing.